There’s no one technique for bubble wrap art projects. You can paint the bubble wrap yourself, and cut the bubble wrap into fun shapes, animals, etc. 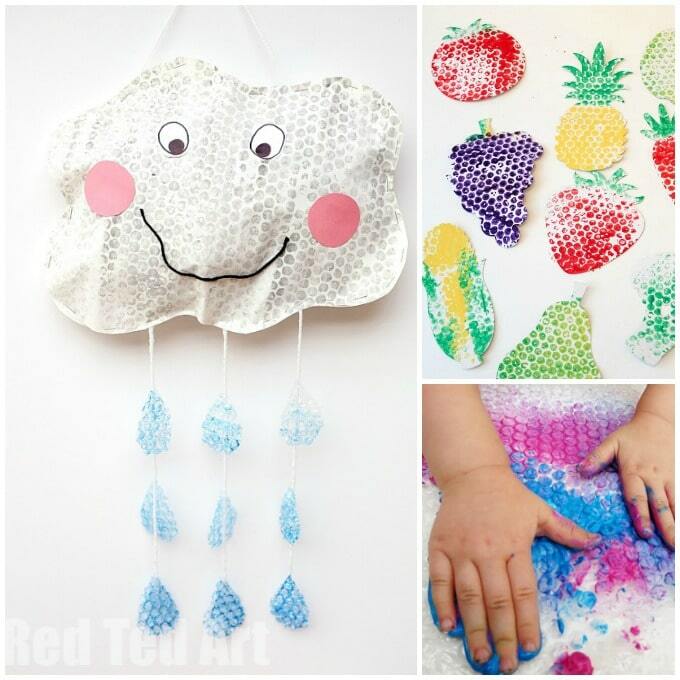 Or you can use the painted bubble wrap to create decorative prints with lots of texture. 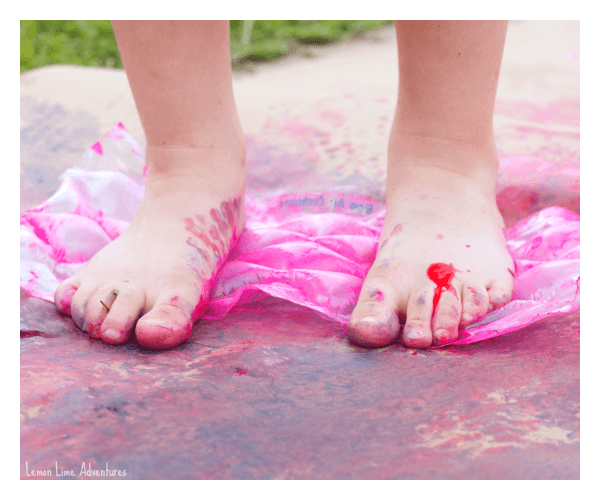 Either way, it’s a fun sensory art experience for your kids. 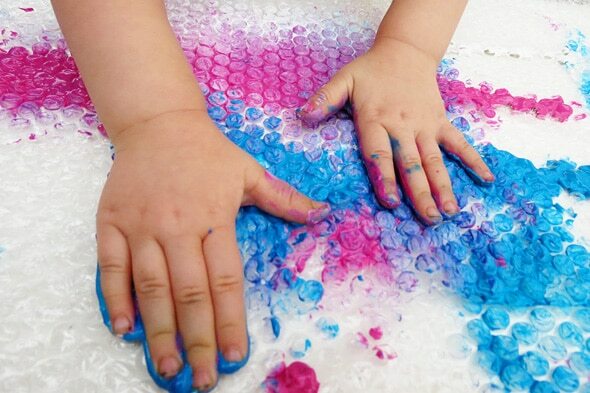 We love this stomp painting bubble wrap activity that ties in art, sensory stimulation and gross motor activity. 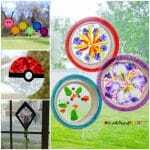 Grab some paint, some bubble wrap in various sizes, lots of craft paper and head outdoors. Visit Lemon Lime Adventures to read more about the sensory benefits of this activity! 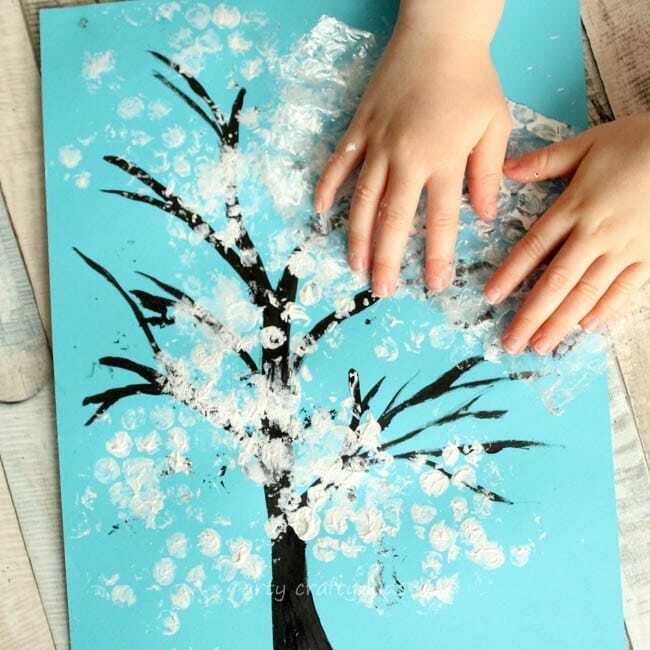 Let your little one try finger painting on bubble wrap. As a kid, I loved playing with the stuff, and truth be told, I still do today. Imagine how satisfying it will be for them to run their hands and fingers over the material while they’re painting! 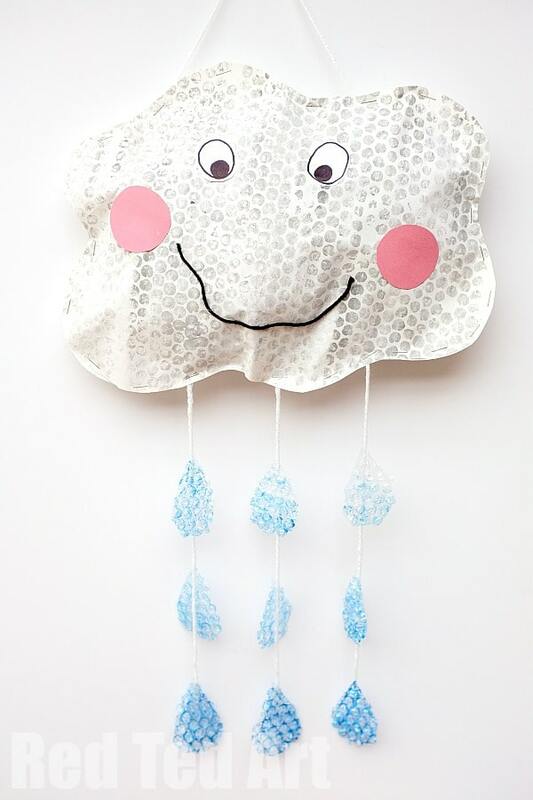 You can’t get much cuter than this rain cloud bubble wrap craft from Red Ted Art. Once you’re done, this would make an absolutely adorable addition to a nursery, playroom or classroom. It’s a keeper for sure. 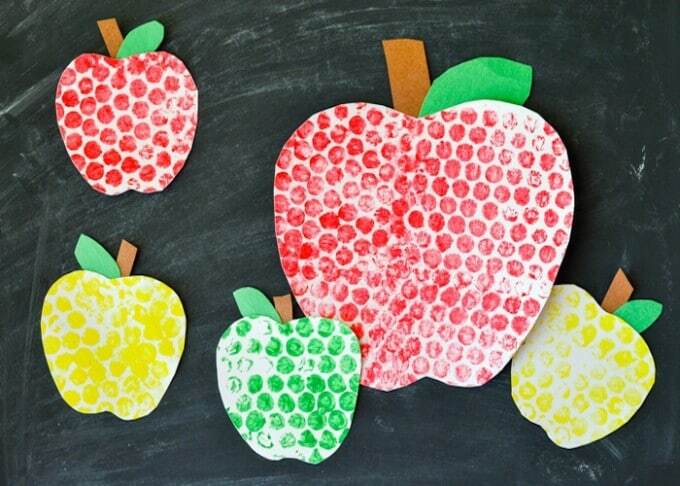 Make bubble wrap painted apples to celebrate the beginning or end of the school year. It’s also a fun activity for Johnny Appleseed Day or anytime you’re working on an apple unit. 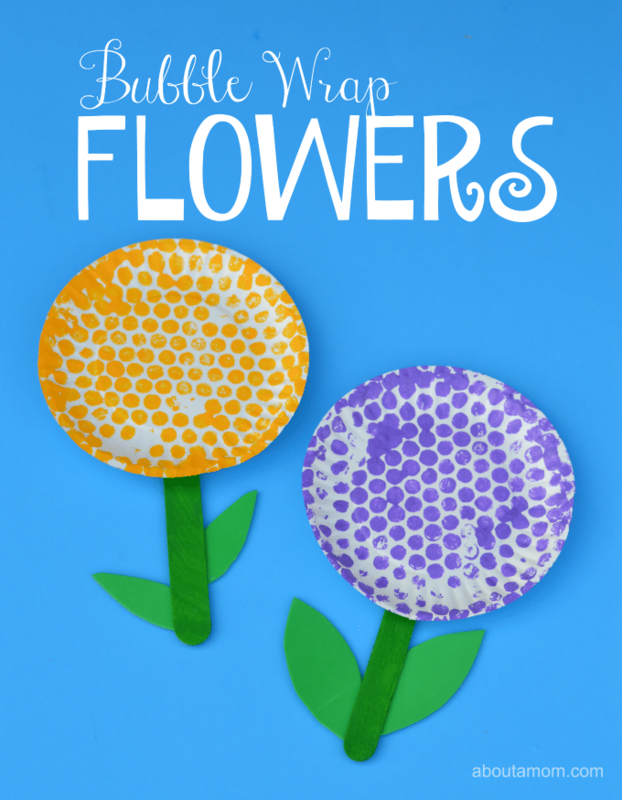 If you’re looking for bubble wrap art ideas for preschoolers, this flower craft is perfect. 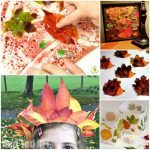 Simply press the painted bubble wrap onto a paper plate, and then attach the plate to a large craft stick along with some pre-cut leaves. What a fun activity for the kids for Mother’s Day. 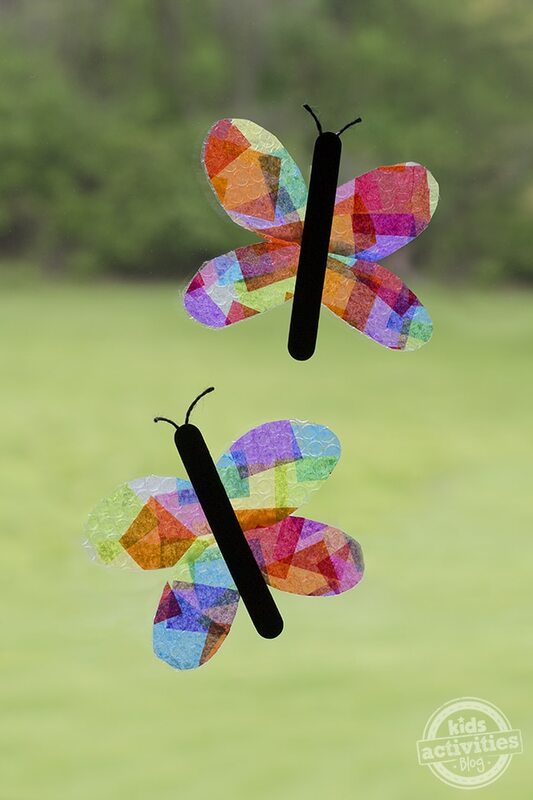 This butterfly suncatcher craft is a fun twist on bubble wrap art. Instead of painting the bubble wrap, you glue squares of tissue paper to it instead. It looks like lovely stained glass on the windows. 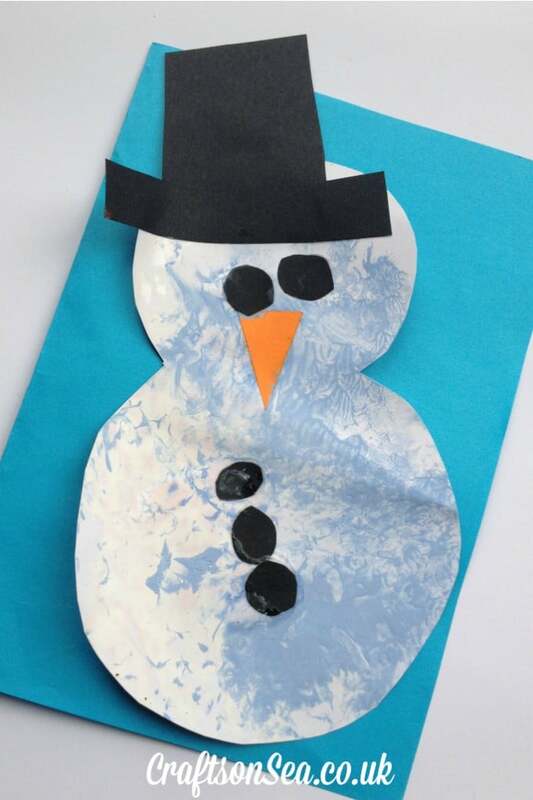 Winter calls for cute snowman crafts, and you’ll want to add this bubble wrap snowman to your activity list. It’s wonderful for tots and preschoolers. You can wrap the bubble wrap around their hands like gloves to keep it from getting too messy or onto other surfaces. 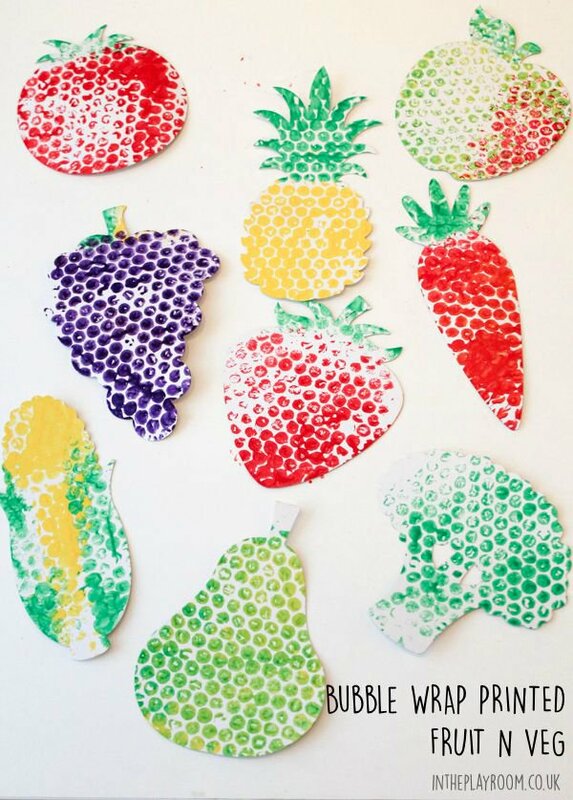 Add some fun, fruity creations to your kitchen with these lovely bubble wrap printed fruit and veggies. They’re completely adorable, and it’s a fun way to get your kids excited about healthy foods if they’re picky eaters. 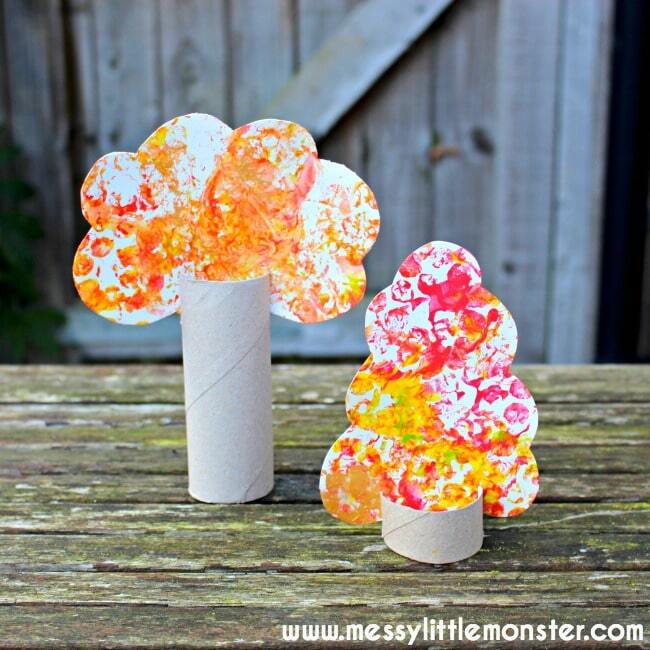 Red, orange and yellow paint pairs with bubble wrap printing beautifully to create these gorgeous autumn tree crafts. 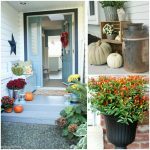 Put them up on your mantle to decorate your home for fall. 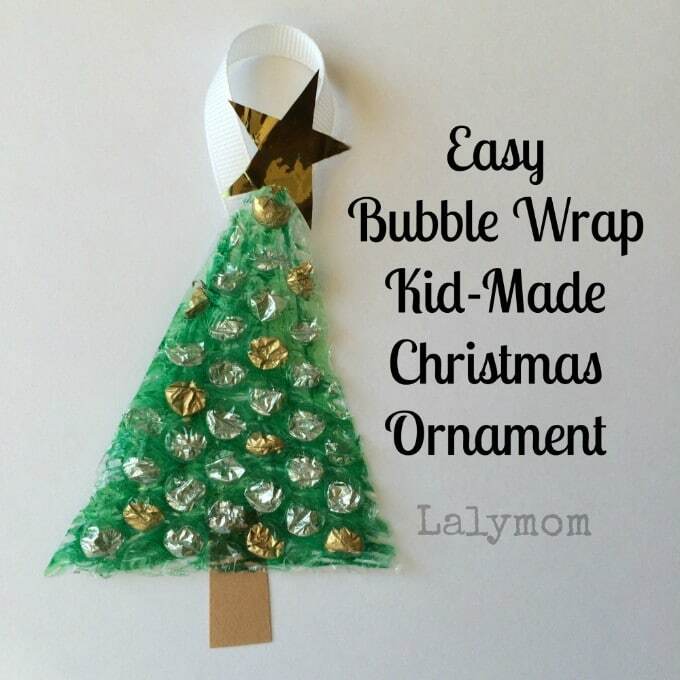 This winter tree bubble wrap craft depicts a bare tree covered with snow. When put on the blue background, it looks so beautiful. I’d frame this one! Have you moved or bought any big purchases recently? If so, you probably have a huge piece of bubble wrap. 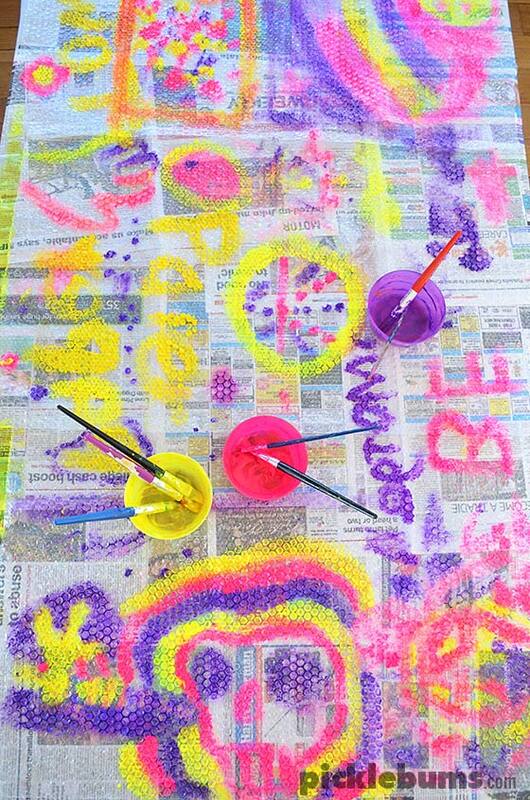 Let all your kids paint on it at once (like this big bubble wrap painting idea) to see what they’ll come up with. You’ll be surprised at the color choices and prints as well as how they work together. How cute is this bubble wrap hot air balloon? The colors work beautifully together. 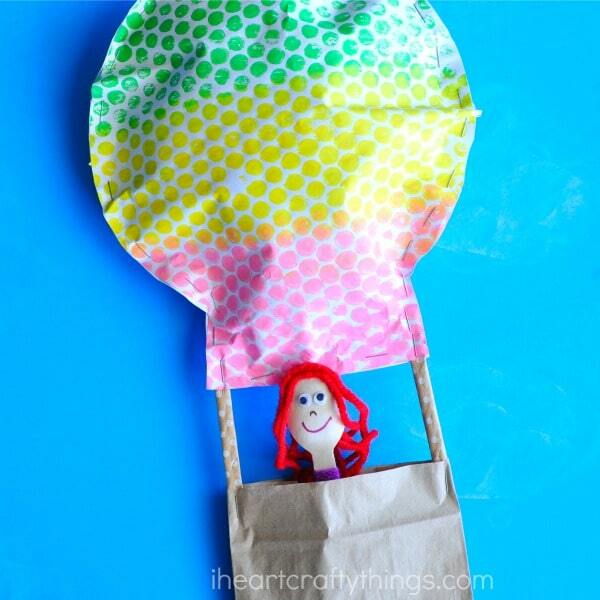 I have to say, though, that my favorite part is the spoon person inside the hot air balloon basket. What a creative idea! 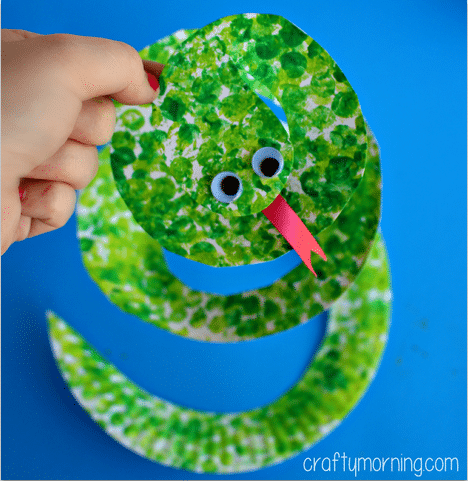 Bubble wrap is great for animal crafts like this bubble wrap snake idea. This project from Crafty Morning is definitely a fun boy craft; my son and I made it together a while back, and he held onto it for ages. 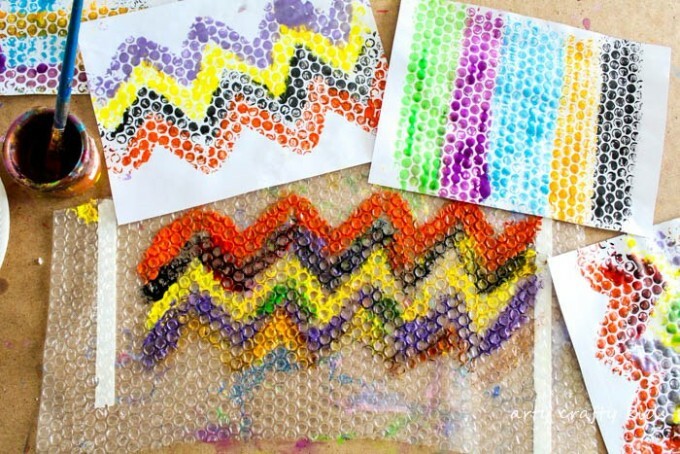 Try creating some fun patterns for your bubble wrap printing projects. Chevrons, shapes, lines, etc. are all fun ideas to create a frame-worthy piece for your home.